Disaster can strike with little or no warning. Be better prepared. At home. At work. Abroad. It pays to be better prepared. Knowing what to do, being equipped and prepared is your best protection. Which Survival Kit is right for you? 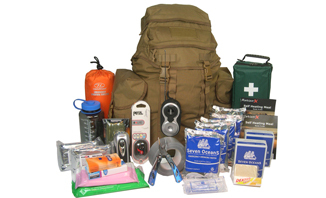 Check out the many standard survival kits on offer or put together your own survival kit from a range of trusted products. Fast, secure, easy. 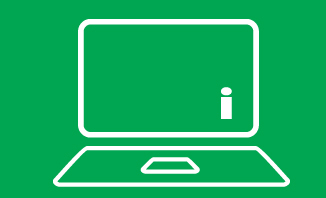 Access FREE resources to make your Personal Emergency and Survival Plan. It's easy! You will be surprised at how much you already have, how much you already know. 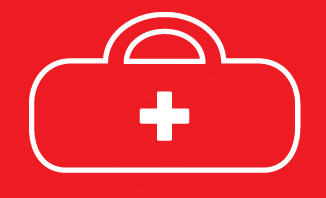 Tune in regularly to local, national and international news and access our survival resources directory "Ready-for-Emergencies". 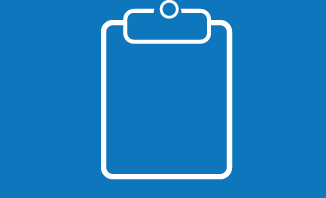 Practice your plan and check supplies regularly. 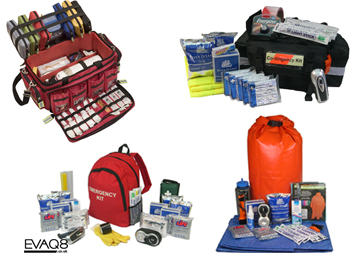 EVAQ8 produce emergency preparedness and survival kits that you can depend on, equally effective in the event of a rapid evacuation or a shelter-in-place situation. 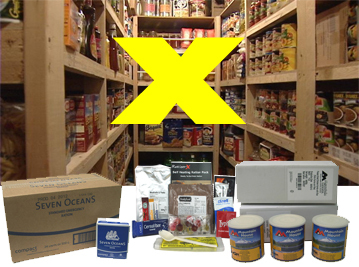 If you would like to build your own survival kit, grab bag or shelter-in-place survival kit, we have hundreds of trusted products to choose from. 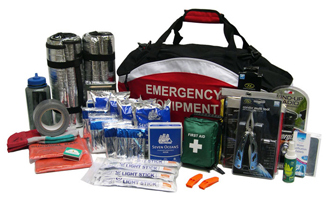 In addition to our range of standard emergency and survival kits we offer a competitive bespoke service. 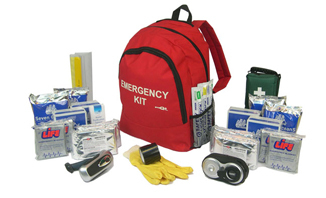 We can customise our existing kits to your specification or create new survival kits or preparedness packs to your exact requirements. Simply see our information on bespoke orders and get in touch with your requirements. Survival-kits.co.uk is a microsite owned by EVAQ8 to inform and raise awareness for emergency and disaster preparedness which includes capacities such as emergency and survival kits, survival tools and nutritous, long shelf-life survival food for medium to long-term emergency food storage. For more information please visit our main website today.